The Graduate School offers the Graduate Student Workshop Series, which supplements a student's academic training by providing brief, specific skill-building sessions on professional and personal development. UC faculty, alumni, staff and community partners act as topical experts and present on such topics as oral presentation, credit, budgeting and nonacademic career development. You can download presentations, handouts and other materials from previous workshops by going to the Past Workshops page. Join a faculty panel representing six local institutions as they discuss the secrets to faculty hiring success. With perspectives from successful applicants and hiring faculty, workshop participants will gain a holistic view of applying for the academy. This moderated discussion will address the job search, application, and interviewing processes. Light refreshments will be provided. Register here. The Academic Writing Center is offering a series of writing workshops. These workshops are tailored to the writing needs of the graduate student experience and will provide the skills that you need to be successful in your academic journey. Refreshments will be provided. Cover Letter: February 6, from 12-1pm in Langsam Library 475, Register for Cover Letter workshop. UC academic departments and offices also provide workshops of relevance to graduate students. UC workshops are a collegial forum in which students can sharpen skills now while they prepare for their futures. The Academic Writing Center offers free workshops to graduate students on important writing concepts. Workshops are typically one hour, and cover topics such as Creating an Outstanding CV, Composing a Literature Review, Starting Your Dissertation, and Overcoming Writer's Block. Visit AWC's Graduate Tutoring page for their workshop schedule and for graduate writing resources. 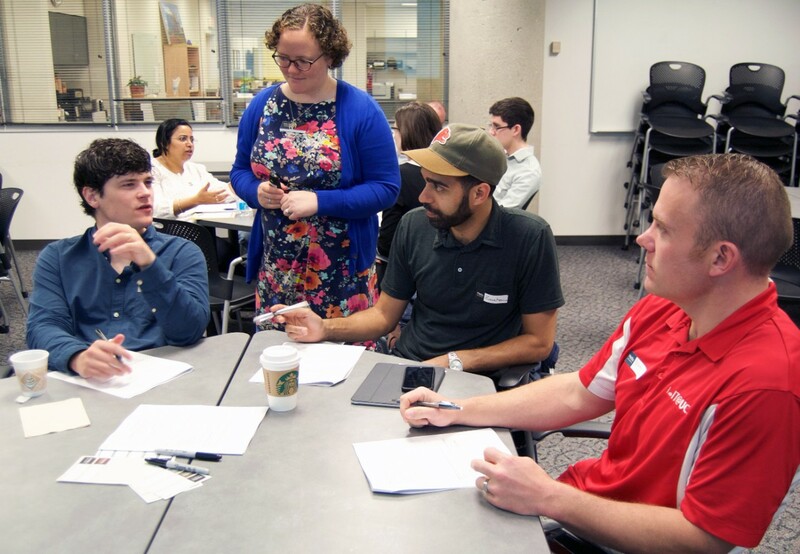 The Center for the Enhancement of Teaching & Learning (CET&L) offers an array of experiential workshops and learning modules tailored to the needs of graduate teaching assistants, faculty and others interested in improving their teaching. The University Libraries offer workshops on both East and West Campus to support graduate students in their research. What would you like to learn? Write to us and we'll find experts to offer a workshop.